ARE YOU SEARCHING FOR THE BEST GRE COACHING IN BANGALORE ? GRE stands for Graduate Record Exam. It is a standardized test to examine Verbal reasoning, Quantitative reasoning, Critical Reasoning & Analytical writing Skills that have been acquired over a long period of learning. It is owned & administered by Educational Testing Services. The emphasis laid on the GRE Exam Scores varies widely among distinct universities & their departments. Finding a good center which provides best GRE Coaching in Bangalore can be traumatic experience, if not done appropriately. You can figure out by considering various aspects like – Who the faculty is ? What are his/her achievements ? His testimonials ? Student – Faculty ratio in the academy ? Fees ? Previous records/statistics ? Etc. What does GRE exam consist of ? How at our academy our faculties teach ? GRE exam mainly consists of Analytical Writing Assessment (Also known as – AWA – Issue writing & Argument writing); Quantitative Reasoning (Quantitative Comparisons; Problem Solving; Data Interpretation based questions); Verbal Reasoning (Sentence Equivalence; Text Completion; Critical Reading/Reading Comprehension); Unscored section (questions are here tried out for possible use in future tests); Research Section (always appear at the end of the test). Here at Reknown Edu Services™, our faculties are certified and very well experienced to teach the candidates and bestow the best GRE coaching centre in Bangalore. Generally, we expose the students to the type of questions they would encounter during the exam and then we impart the necessary skills (basics to advanced) to get right answers most of the times (if not every time) within the stipulated time. What is the duration of GRE revised General test ? The standard duration of the GRE revised General test is 3 hours 45 minutes with a 10 minutes break (optional) after 3rd section. AWA tasks – Issue writing & Argument writing 30 minutes for each. Verbal sections – SE; TC; RC & CR = 20 questions = 30 minutes for each section. Quantitative sections – QC; PS; DI = 20 questions = 35 minutes for each section. Unscored Section – Varies with respect to number of questions. Research Section – Quite similar to unscored section. How is GRE exam Scored ? What is the average score of an individual taken GRE coaching in Bangalore at RES ? GRE Quantitative reasoning & Verbal reasoning is scored anything between 130 & 170 with one point increment on every right answer. No negative scores for any wrong answers, so YAY!! Thus, strongly recommended that you do not leave any question unanswered. AWA is scored within the range of 0-6 with 0.5 increments. A score of 310 – 320 out of 340 is considered to be a good score to get an admission into reputed universities of the world. You can find further information here. We have had hundreds of students who have taken GRE Coaching in Bangalore recently at our academy and gave the exam immediately after the course completion. The average scores of these students have been reported to be between 305 & 315 out of 340. We also had few smart students who could learn the nitty-gritties of the course in no time and get stupendous scores of 330+ out of 340. Apparently, a typical student before coming to our center does thorough research about the best GRE coaching in Bangalore and then come and subscribes for the course. What are the reasons why a student finds GRE exam prep to be taxing ? Few start with complete passion and find it onerous in between and give up half way. What are the benefits of student joining best GRE Institute like RES ? Students are exposed to real time challenges, as they would face on the real exam day. Tips & tricks will be taught to answer questions real quick. Assignments and classroom group discussions to increase the accuracy. Doubt solving time allotted for one on one. Access to library and myriad of reference materials. Best Class Room training with all the tips and tricks to reach answers quickly. Mock test and Discussions on it. Memory trick and fast reading sessions are given to remember more number of words. Reknown Edu Services™ believes in all the above-mentioned points and stay true to most of it every time for GRE coaching in Bangalore. What is the cost of GRE exam and GRE coaching in Bangalore? The cost of GRE exam is currently set to US$ 205 and to find the updated fees and how to make payment and related information you can find it here. You can also apply for Need based financial aid to get support from ETS. The best GRE Coaching in Bangalore may cost anything between ₹ 15000 to ₹ 30000(inclusive or exclusive of GST). But at our institute (Reknown Edu Services™) we charge ₹ 15000+ GST only. Yet, maintain the supreme coaching quality to truly serve the deserving students of Bangalore. 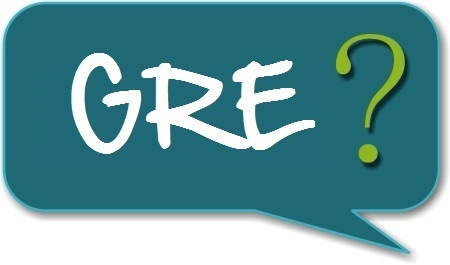 How long the score of GRE is valid & can we report our scores to the universities for free ? The GRE exam scores are valid for 5 years. Yes, you can report your scores to 4 universities for free on the day of the exam. Further if you wish to report the universities other than the one reported on the examination day you could follow the instructions here.